Almost two years ago, Apple launched the Ipad which has sold more than 55 million units. I have bought both the versions of the iPad and have been generally pleased. The one beef that I have with the iPad is that it is a cumbersome e-reader aka book. I find the original iPad and the iPad 2 heavy and awkward reading devices. Compared to the Samsung Galaxy Tab, the Amazon Kindle Fire and the smaller version of the Motorola Xyboard, the iPad is 25% heavier. Moreover, the devices with seven inch screens feel more like a book than the iPad. I found my reading experience on these smaller devices a lot more desirable than the iPad. These 7″ tablets are similar to the form factor of most books. If Apple prices an iPad mini in the range of $199-$249, I can see Apple sell at least sell 20 million units annually in addition to the iPad and increasing its revenue y $4-$5 billion annually. RIM’s Co-CEO Jim Basillie, who is currently speaking at the Web 2.0 Summit right now has just let it slip that the PlayBook has a module cavity in it. He won’t say what the module will be for but it could be for anything. Considering that what little we know about the PlayBook that it does not have any cellular connectivity, we would bet our chips on a 4G data modem of some sort. Any guesses? Olive Telecom has finally launched the OlivePad, which it had announced July this year as India’s first Android Internet Tablet. 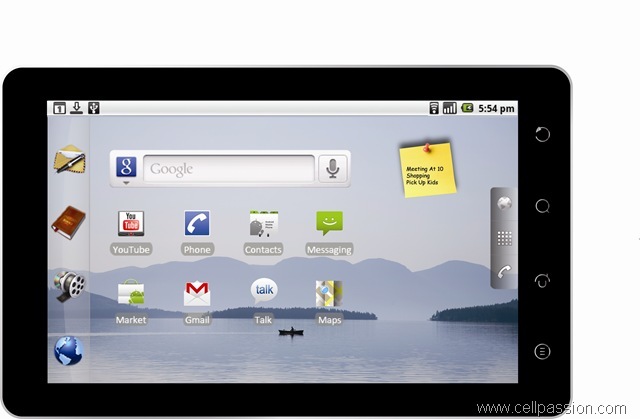 The delay has not cost Olive Telecom much as it is still the first Android Internet Tablet to be available in India. Between July and now, the Olivepad has been bumped from Android 2.1 to Android 2.2 and with it a bump of Rs 1,000. Announced for Rs 24,990, the OlivePad will now cost Rs 25,990. On the features front, the OlivePad has a 800×480 pixel 7.0-inch display, a 600 MHz processor on a Qualcomm MSM 7227 chipset and 512 MB of RAM. The sales pack comes with a 16 GB microSD card. It is also HSDPA enabled and has a 3.0 MP rear camera and a VGA front camera for video calls. The OlivePad comes pre-loaded with MapmyIndia’s navigation app as well as six months of Zenga TV – a mobile TV app. The OlivePad is now available at Croma stores across India.